I have never had a better life than the one I have today. For the first time I have the life I’d hoped for when I was a kid. Growing up, I saw how my friends enjoyed life. They had a positive outlook that always escaped me. My days were spent in self-loathing and envy and these feelings drove me to desperate measures. I was always trying to escape the way I felt but I never could. But, thankfully things have changed. I got the help I needed with my drug addiction and I made the decision to give my life to God. As a result, today I am thankful to be alive. I am learning to be content with the way things are and I have hope for the future. Now I must say that even with as good as I am doing, I still feel a restlessness within me. I still want something more. It’s like I’ve been on a very long journey to get home and while seeing my home in the distance, the last mile is all uphill. My deep yearnings have not disappeared, but now that God has met me in my pain, the way I interpret my feelings has changed. My feelings are not the chronic emptiness they once were. It’s hard for me to explain. My painful feelings are more like the kind of soreness that comes from good exercise. I feel a longing, like the longing for a loved one that I know is coming home to be with me soon. Having come to know the greatest joy in the universe—God—I have been enlarged so that I am ready for more of whatever good God has to give me. My appetite for badness—my addiction that is—has lessened and my appetite for goodness has increased. My soul is not yet completely satisfied, but it is filled up with a joy that overrides my yearning when I direct myself to God whom I know through Christ Jesus. I see life simpler now. It’s as simple as this: with God there is life; without God there is no life. This simple principle transforms everything I think, feel and do. With it, I become the kind of man who lives privately just like I would if everyone were watching me. I wrote this poem as a prayer. It sums it up for me. The more I seek You, the more I find You; The more I find You, the more I love You; The more I love You, the more I seek You. Many of us — and I include myself in this — can be overly concerned with how we appear to others. This can get us trapped into living in ways that are inconsistent with how we truly want to live. We can find ourselves more concerned with looking good in the eyes of others, than being good no matter who is watching us. Integrity is impossible without interpersonal authenticity. Reputation without character is an illusion. We have to get real with ourselves and with others, no matter what others may think or say about us, if we want to recover. 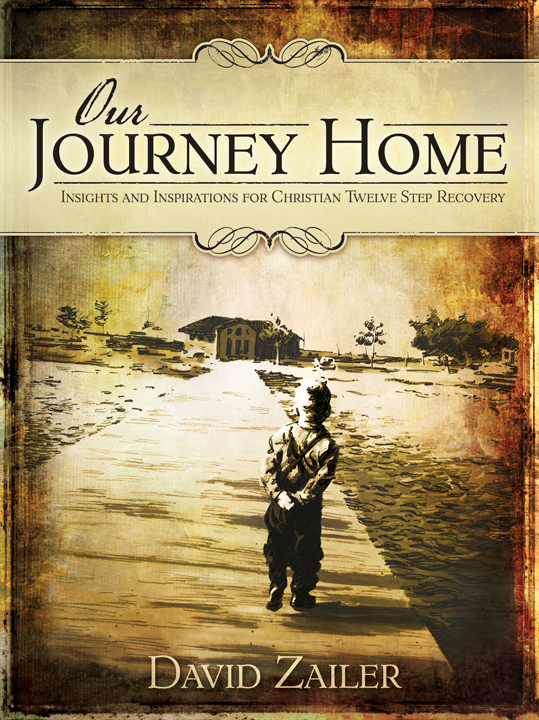 because of the miracle God was doing in their lives — we came to believe we could recover from our addictions too. We then made the decision to trust God with our lives the best we knew how, recognizing that our relationship with Him must always grow as He directs. We accepted the opportunity for recovery as a gift and a responsibility. In other words, we worked to obtain a more honest understanding of ourselves and our failures. We began admitting to ourselves, to God and to well-chosen people who and what we really were inside and out. Sharing ourselves with others honestly, we found ourselves becoming more and more dissatisfied with the pathetic way we had masqueraded through life. We knew we needed God’s help to change our character defects, and we asked Him for it. Over time, our character defects weakened and our eyes opened, which made us more aware of how we had hurt people around us. We now do our best to reconcile with others, starting with forgiving anyone who has hurt us, and helping anyone who has been hurt by our addictions. This simple recovery plan has been taking us, step-by-step, on a journey where we have begun to see a new character, and a new life within us. But we won’t stop now. We can’t stop now. What benefit would we have, what usefulness could we offer to others, if we abandoned our recovery journey incomplete? I don’t mean to say that I have already achieved these things or that I have already reached perfection! But I keep working toward that day when I will finally be all that Christ Jesus saved me for and wants me to be. No, dear brothers and sisters, I am still not all I should be, but I am focusing all my energies on this one thing. Forgetting the past and looking forward to what lies ahead, I strain to reach the end of the race and receive the prize for which God, through Christ Jesus, is calling us up to heaven. "If the Spirit of God detects anything in you that is wrong, He does not ask you to put it right; He asks you to accept the light, and He will put it right. A child of the light confesses instantly and stands bared before God; a child of the darkness says – “Oh, I can explain that away.” When once the light breaks and the conviction of wrong comes, be a child of the light, and confess, and God will deal with what is wrong; if you vindicate yourself, you prove yourself to be a child of the darkness." and when we were wrong, promptly admitted it. We must never forget that we are powerless over our addictions and that our lives are beyond our ability to manage on our own. We also need to remember that we have come to believe that we can recover from our addictions because we have encountered other people who are recovering from their addictions. Then, wanting to survive our addictions and live, we made the decision to trust God with our lives the best we knew how, while at the same time we recognized that our trust in Him and our relationship with Him needed to include trusting the people that God brought along to help us. As our trust in God and other people grows, we begin to admit to ourselves, to God and to certain trustworthy people who we really are, what we think about ourselves and how we feel about the world around us. We realize that we cannot get rid of our character defects on our own and that the only worthwhile thing to do is to ask God to remove our character defects from us. Then, as our character defects weaken over time, we become more aware of how we have hurt others in the past. By offering our apologies and assistance to those that we have hurt and by forgiving those who have hurt us, we accomplish something that no one else can ever do. No one can make our amends or our apologies for us. Doing this work ourselves is a very effective part of healing and integrating our hearts and our minds together as one. The growth we experience motivates us to continue on. Maintaining a trusting relationship with God while at the same time considering other people as more important than ourselves, helps insure that we will continue to grow away from our addictions. A lifestyle of obedience to God draws us, step-by-step, on a continuing journey where our faith is increased and our hopefulness is expanded. We begin to see a new character form within us and a new life take shape ahead of us. But we won’t stop now. We can’t stop now because there is no middle road in recovery. We continue to grow, or our addictions will begin to overtake us once again. It is critical that we recognize that even the most subtle of our thoughts and our feelings lead to action, in one way or the other, good or bad. We never just stay the same. Complacency puts us at risk of losing ourselves to our own addictions once again. So, it is critical that we know what is going on inside of us. We must be willing to surrender our counterfeit appearances, even at the most personal and fundamental level. Our future requires that we have an honest grasp of who we really are; it requires that we prefer God’s plan more than our own. 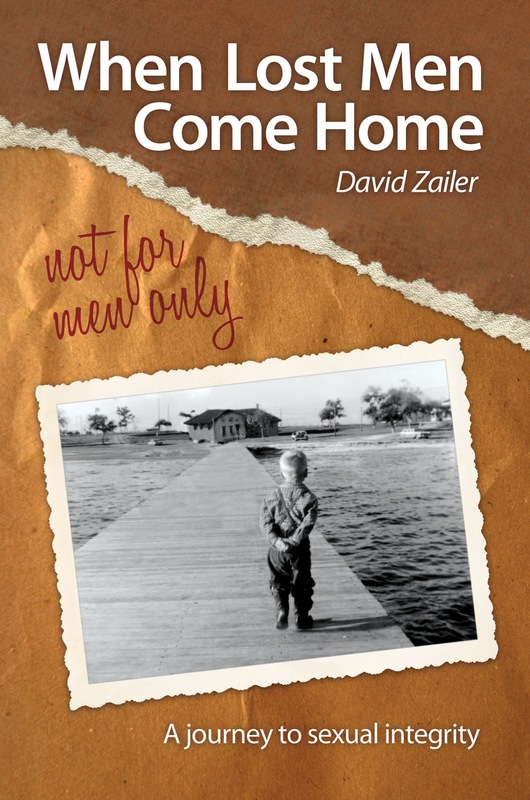 What benefit do we gain, or what good can we offer if we abandon our recovery incomplete? We should use great caution before contacting any sexual partners we used in our addiction. Old partners, with no ill will, can easily derail our recovery. We must stay safe from any situation where we can possibly lose the freedom we have gained. If God wants us to see former lovers, He will arrange it in a way where we can be safe. And while it may not be wise to contact old partners directly, we can begin to make amends to them by assisting people who essentially represent them in some way. For example, changing our attitude toward women in general and giving all women dignified respect is a great beginning. Letting go of our memories of sexual conquest and our fantasies is a great place to start in making amends to former partners. When no longer seeing women as objects for amusement and pleasure, and by redirecting our minds by praying for those held hostage in our memories and fantasies, the power our memories and fantasies have had on us in the past will begin to lose its grip. When we face a provocative situation, or remember an exciting experience from the past, we pray for the people we have held captive in these fantasies and memories. We pray for their health, their safety, and for their happiness. We pray they would experience the fulfillment of their most sincere hopes and dreams. When doing this consistently, we developed healthier ways to deal with troubling thoughts and memories and with the spontaneous stimulations that once drove us to do things we would later regret. By making amends to specific women, and by making amends to those whom we will never or cannot ever see again, we partner with God in retraining our instincts and this allows us to view women more humanly — and interact with them in a new more wholesome way. When we acknowledge the God-given beauty inside of all women, we see past the delightful and sometimes overwhelming distraction of a woman’s beautiful body, seeing her as God sees her. Women are not only beautiful, they are free, independent and autonomous creatures, created to live free from the sexualized pressure we unknowingly create when we only see them for their sexual attractiveness. We do not need to "have" women. We can enjoy them as friends. This is the kind of life you’ve been invited into, the kind of life Christ lived. He suffered everything that came his way so you would know that it could be done, and also know how to do it, step by step. He never did one thing wrong, Not once said anything amiss. They called him every name in the book and he said nothing back. Making amends plays an important part in helping us learn to love ourselves freely in a similar way that God loves us. This freedom to love ourselves is more than just a freedom from addictions; it is a freedom to experience life in a spiritually empowered way. For example, we will no doubt experience fear at times, but living in a spiritually empowered way will enable us to live courageously even in the face of fear. We will feel pain, but we will be able to express kindness to others and even ourselves regardless of the pain we feel. We do not ‘possess’ this freedom, but it never really leaves us either. This freedom is a by-product of knowing God’s forgiveness personally; being assured that He will never take His forgiveness from us. Yes, we can ignore and even turn our backs on Him and His live-saving and empowering forgiveness, but it will never be out of reach when we are sincerely ready to receive it. There are days where we can stop, look back, and see how far we have come by the grace of God. These are days worth living for. It is not possible to love others unless our hearts are growing in faith and hope. Faith and hope birth love as we live out our calling in anticipation of his coming. counselors about the most appropriate way to speak with our loved ones in hopes of making amends to them. It was important that we speak to them honestly about our addiction without hurting them by sharing unnecessary or salacious details. Sharing the facts in a general way opens the door for communication. And it opens the door for others to honestly share their feelings with us. Without causing others additional pain, and without airing our dirty laundry to the whole world, we bring caring and thoughtful communication into the broken relationships we created. With respectful and discreet honesty, it becomes possible to make things right and possibly rebuild broken and damaged relationships. In situations where we faced serious consequences or the possibility of strong temptations, we once again asked our sponsors and counselors for guidance. Some amends should not be made face-to-face. Other amends may have to be postponed for a better time. We will be of little benefit to anyone if, in our attempts to clear our own conscience, we make ourselves sacrificial lambs or march needlessly into overwhelming temptation. Our sponsors and counselors helped us to know how to handle each situation. They helped us to see that there is rarely a good reason to hurry. It is far better to make amends well than fast! Do not judge others, and you will not be judged. Do not condemn others, or it will all come back against you. Forgive others, and you will be forgiven. Give, and you will receive. Your gift will return to you in full—pressed down, shaken together to make room for more, running over, and poured into your lap. The amount you give will determine the amount you get back. One of the great miracles that we will experience in our 12 Step recovery process is how God will meet us more than halfway. Throughout Scripture we are told that even our smallest commitments and efforts will be met and rewarded with a return that far exceeds what we have invested. What God gives us in our recovery efforts should really be considered more like a gift, because it is not based on the magnitude of our efforts, but more on the sincerity of our hearts that is expressed through our efforts. We can be assured that even our greatest failures will be turned into good things if we have done them with a sincere heart that seeks to know God and the love that He gives. One of the ways that God turns our failures into something good is by helping us, when we are willing, to let go of the anger and resentment that we have had. To the degree that we are willing to forgive those who have hurt us, we will be able to receive the forgiveness that God gives, especially the forgiveness that other people have to give us. For you see, healing damaged relationships – forgiveness - is a two way street. We have to be willing to give forgiveness before we can be ready to receive forgiveness. Forgiving and being forgiven is the fundamental footing that must be in place before we can build a life that is relationally solid. As we already know, we can’t build a forgiven life by ourselves. We will have to have help. We will need help from our sponsors and our counselors because every situation will be different. Even as we grow, we will have blind spots in our thinking. We need an enlarging point of view in order to take the best course of action, and our sponsors and counselors will help us to gain this much needed increase in perspective. There is no doubt that some of the people we need to make amends to have been guilty of hurting us, too. Once again, these are situations where we should consult with our sponsors and our counselors in order to know the best way to proceed. One thing we know for sure is that in each and every case we are called to forgive. Forgiveness is the ultimate of God’s command. It is the ultimate obedience, too. When we forgive others, we become willing to let them “off the hook” at the emotional and psychological level. God commands us to forgive so that we can live better, ourselves. Forgiveness is an act of love, not only for others but most of all for ourselves. The people who have hurt us will hold us hostage forever as long as we are unwilling to let go of our anger and resentment. For some of us there have been circumstances where someone hurt us with a criminal act. In such cases we should refer to our advisors. Most certainly we must be willing to alert law enforcement to what we know. We do this in order to put a stop to the damage that was done to us and, more importantly, to take responsible actions that will help protect others in the future. While it is a good thing to see a dangerous person held accountable for his crimes, this does not excuse us from the necessity of forgiving the offender at a personal and spiritual level. Forgiving someone for hurting us does not mean that we excuse their bad behavior, either. Who do we need to forgive and why? In making my amends, I made every effort to speak thoughtfully to those I had hurt. I put them above myself, and tried to speak wholeheartedly with respect and reverence. Where I had shown disregard and selfishness before, I now tried to reflect the image of God’s love. I considered it my job — my response-ability once again — to give back to them the dignity I had stolen from them. I acknowledged to them that they never deserved to be treated the way I treated them, that they in fact deserved much better. I expressed my desire to make things right between us, starting with a change in my attitude toward them, reflected in the way I would interact with them in the future. The message I had for them was very simple: Today I see things different than I did in the past. I am less important; God and other people are more important. There were times when I felt other people were out to get me somehow. Sometimes they were and sometimes they were not. However, whether people were or were not out to get me was not the important issue. This is because when I was willing to see what God had for me to learn in any situation, I found most of the attacks I felt were directed at my addictive thinking, my selfish actions and my sinfully distorted way of relating to others. So today, I do my best not to defend myself when I feel attacked. When I have done something wrong, triggering an aggressive response from someone else, I simply apologize for what I have done wrong and ask them what I can do to make things right. Then, above all else, I change my attitudes and my actions. Yes, you have heard it before — actions speak louder than words. The people who gave you the consequences are not your enemies. By seeing those who give you consequences as the enemy, you keep yourself stuck in justifying your behavior. Your real problem is your denial and self-delusion. 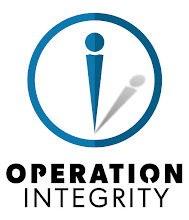 Many of us in Operation Integrity felt quite nervous about making amends to other people. One thing we learned in the process was that making amends to ourselves helped create spiritual and emotional momentum and this helped us move forward and make amends to others. This is because building healthier relationships requires that we address the many ways we have hurt ourselves. While some may dispute this, no one has suffered more from sexual addiction than the one who is sexually addicted. Many of us needed to make changes in our eating and exercise habits — or lack thereof. When we had hurt ourselves financially, we faced it and with the help of our sponsors and counselors, we made changes to develop financial integrity. When we had hurt ourselves emotionally through self-pity and by blaming others, we faced it and discussed it honestly with others. Sometimes we even wrote ourselves amends letters, addressing them to ourselves at specific ages from our childhood and life. Sitting privately in front of a mirror, we read these letters to ourselves, face-to-face. We also read these letters to our sponsors, and to our counselors and select recovery partners. We gave ourselves grace and understanding. And we made peace with our ups and downs. Recovery is never a straight line from beginning to end. No matter how good or how bad things get, one thing is for sure; things are going to change.